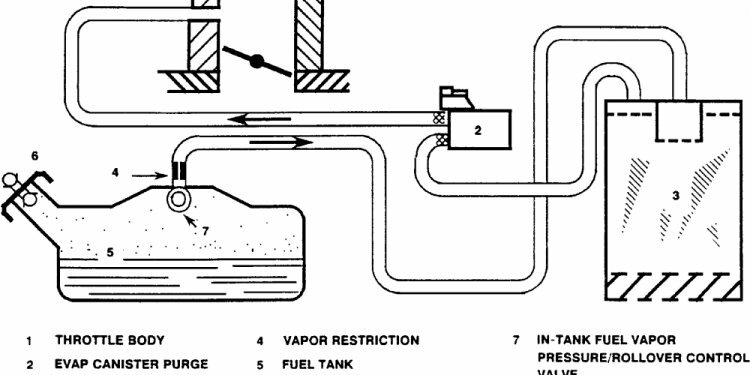 The real-world effectiveness of evaporative emissions control systems is evaluated. Approximately over 4.5 million trips/parking events are considered. Up to 98% of the fleet share might not be properly regulated. Up to 15–30 g/s and 0.4–0.8 tons/day of VOCs are estimated in analysed areas. A density of 4-to-8 kg/km2/day of VOCs is estimated in these areas. This paper assesses the effectiveness of the evaporative emissions control systems of European passenger cars on the basis of real-world activity data. The study relies on two large datasets of driving patterns from conventional fuel vehicles collected by means of on-board GPS systems, consisting of 4.5 million trips and parking events recorded by monitoring 28, 000 vehicles over one month. Real world evaporative emissions are estimated using a model that associates a carbon canister desorption event to each trip and a fuel vapour generation event to each parking. The mass of volatile organic compounds released into the air is calculated taking into account the hot-soak, permeation and breathing emission mechanisms. The analysis is based on 36 scenarios, defined by varying the climate conditions, the fuel vapour pressure, the tank material, the tank headspace volume, the purging volume flow rate and the mass of the activated carbon contained in the canister. The results show that in May 4 out of the 18 scenarios considered for Modena and 6 out of the 18 scenarios considered for Firenze lead to evaporative emissions values above the current type approval limit (i.e. 2 [g/day] per vehicle). In July, these numbers increase to 10 out of the 18 scenarios for Modena and to 12 out of the 18 scenarios for Firenze. Looking at the fleet distribution a share of approximately 20% of the fleet is characterised by evaporative emissions higher than the limit in May, increasing to 48% in July, with a peak value of 98%. The emission peak value is estimated to be approximately 4 [g/day] in May and 8 [g/day] in July, while the time-dependent results show emission rates up to nearly 15 [g/s] in Modena and 30 [g/s] in Firenze, with a respective cumulative value in July up to 0.4 and 0.8 tons of VOCs per day. The space-dependent results show a value of the emissions in July of approximately 4-to-8 [kg/km2/day] in the city areas. These results confirm previous findings from the authors, highlighting how the evaporative emissions control system currently used in passenger cars might not be effective under real-world use condition, calling for a revision of the type-approval test procedure.